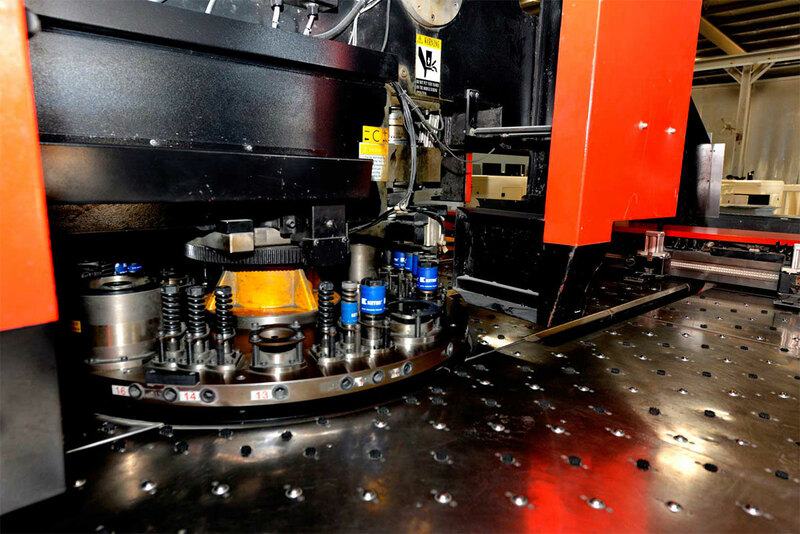 ITTS provides efficient, fully-integrated power generation systems built for reliability in uncertain circumstances. 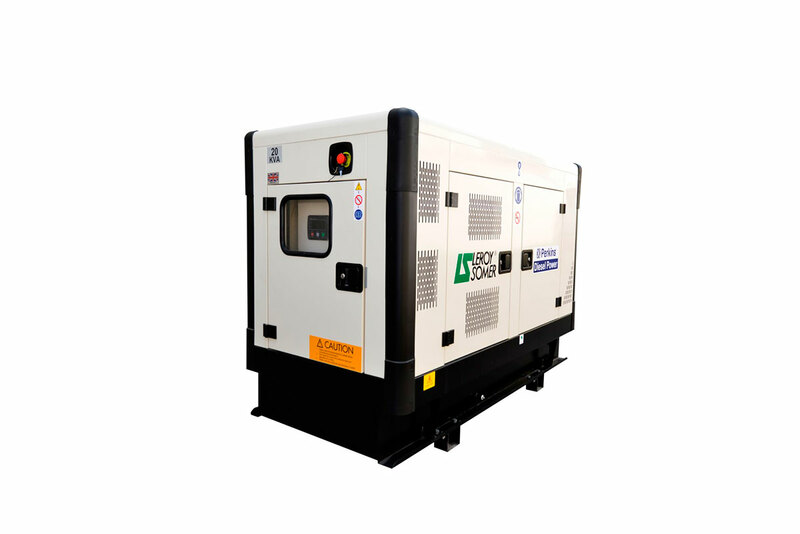 Anytime, anywhere, ITTS generators are ready to keep you up and running, no matter what. 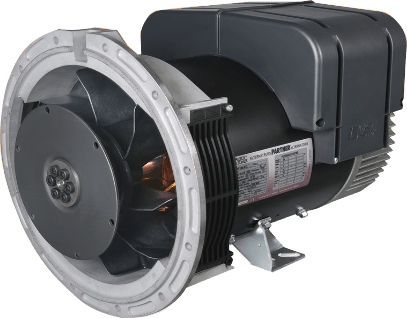 Our product lines are designed with state-of-the-art technologies to provide standby power, distributed power generation, and auxiliary power for a wide range of needs. 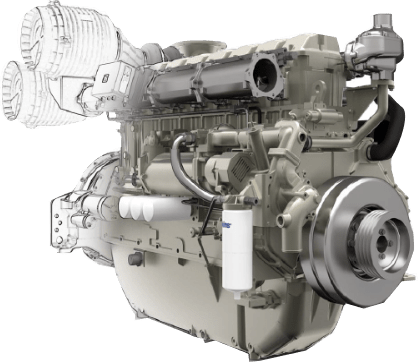 From homes to hospitals, and data centers to mining operations, our power generation products inspire confidence and keep the lights on. 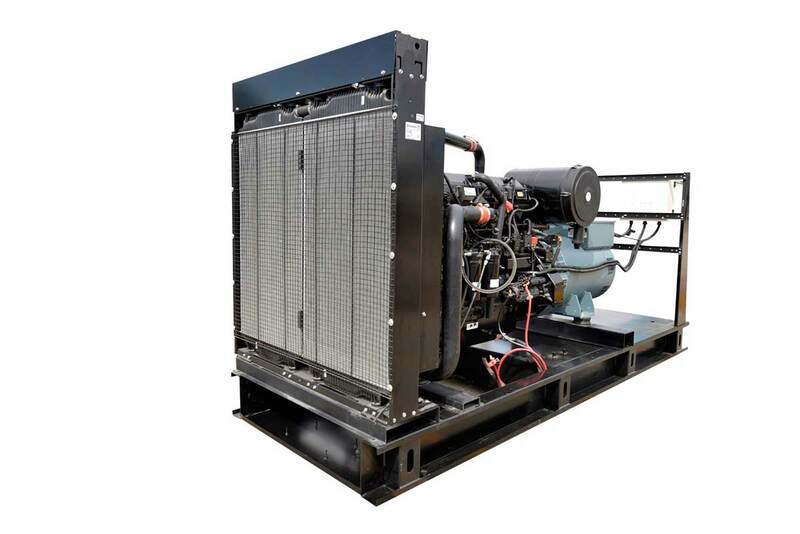 Our main Product is the Diesel Generator set with power ratings from 9 KVA to 2000 KVA. 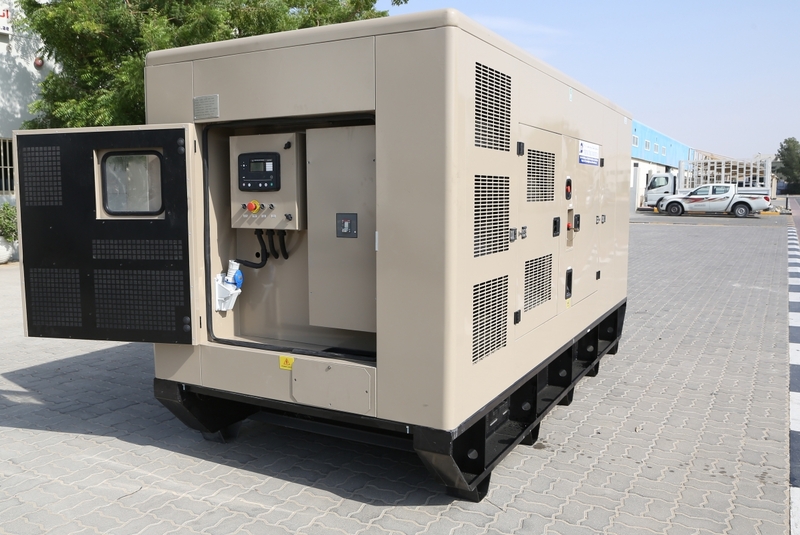 We are one the leading suppliers with large stock of generators in UAE. 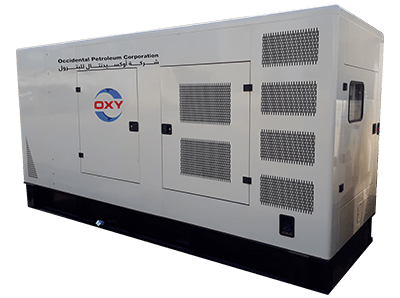 We deal with customers from independent users such as home owners looking for back up, to contractors looking for power at site, and backup for their buildings, to telecom sector for constant tower supply, to Oil & Gas Zone certified units. 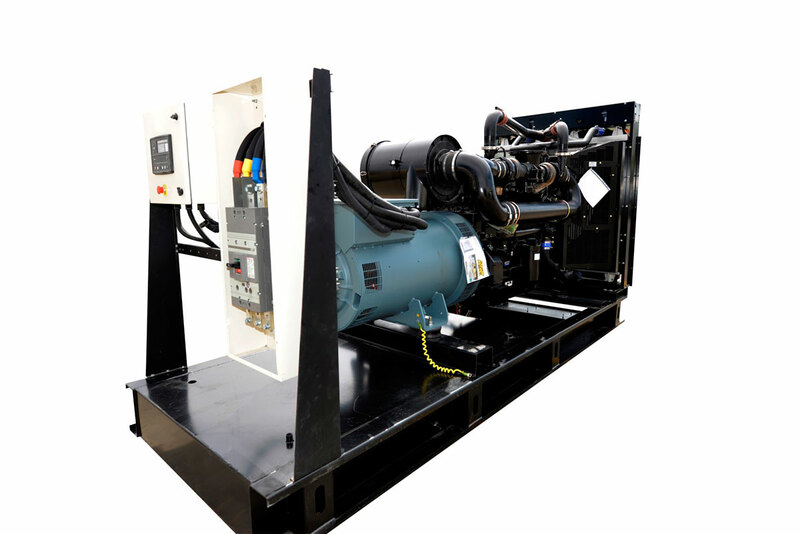 ITTS has the capability to produce their generators as per the customer’s special needs. 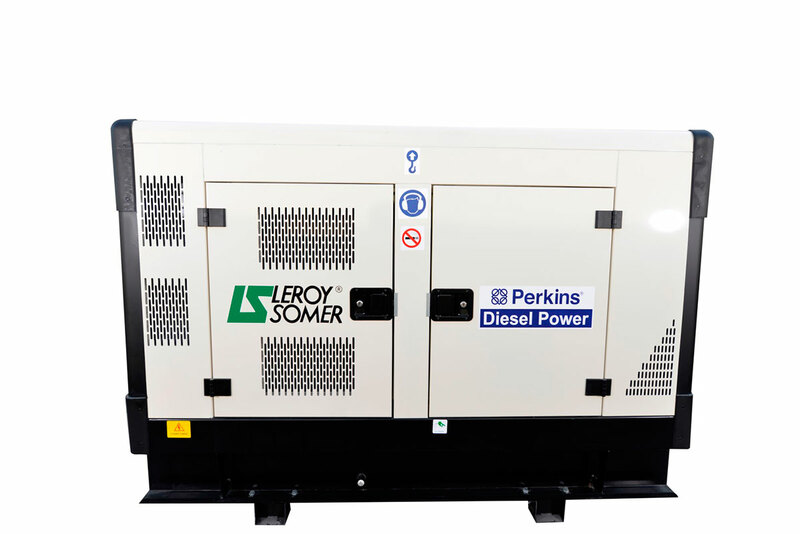 We can design the diesel generator set to be stationary or mobile with trolley or trailer. 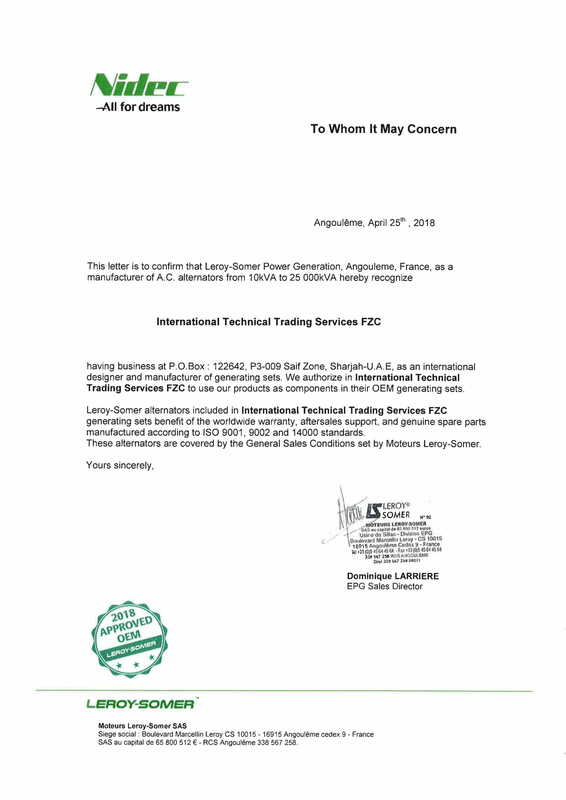 Soundproofing is provided down to 85 dB @ 1 meter or further for more quiet applications to 68 dB @ 1 meter. 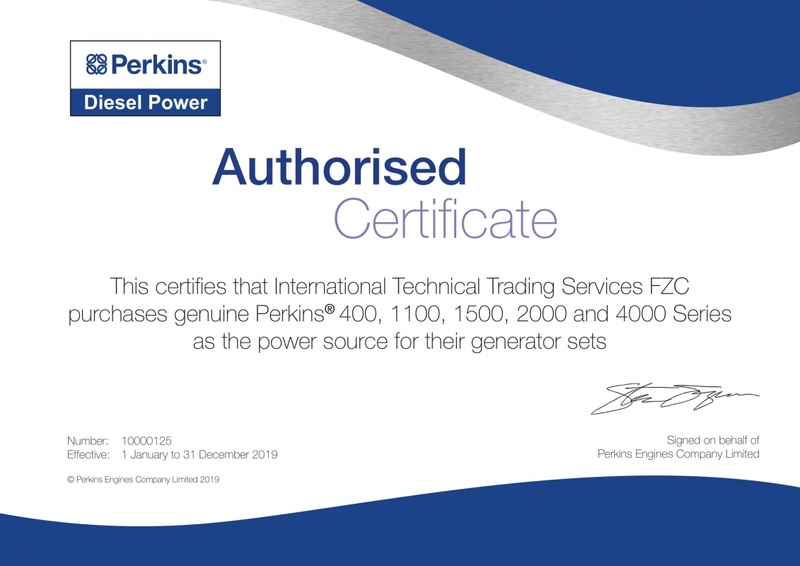 ITTS generator sets are powered by the most reliable and well-known engine manufactures such as Perkins Engines from UK and USA. 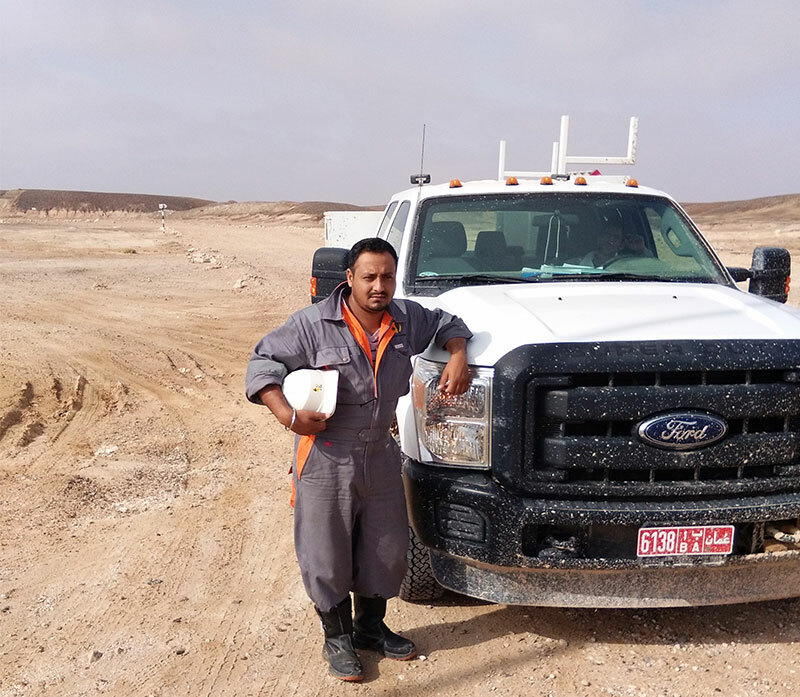 ITTS started at the bottom in a small room for generator trading and servicing with three men with big dreams. 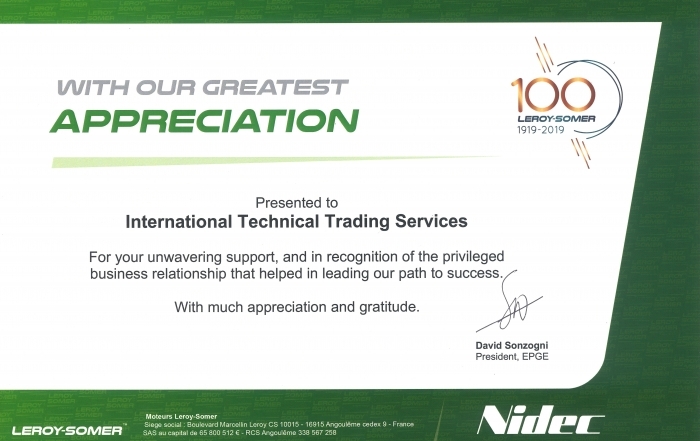 It’s come quite a long way since then in the region. 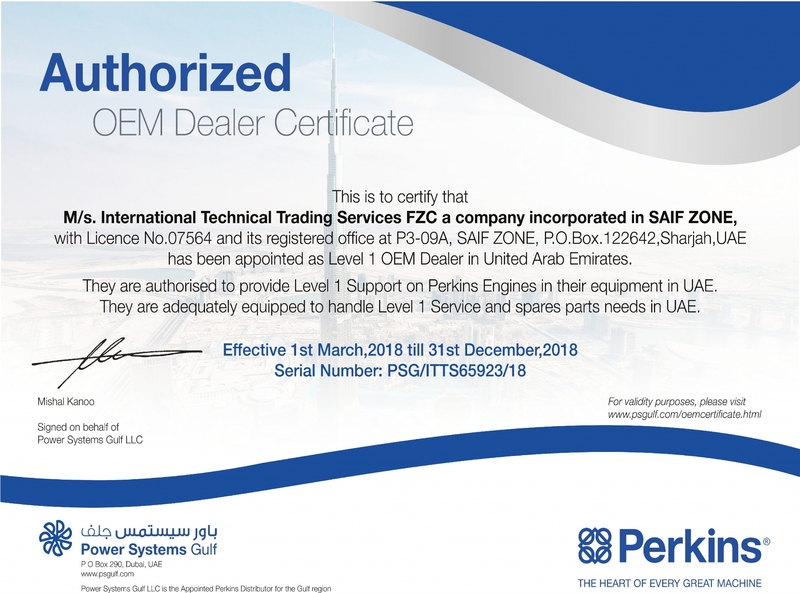 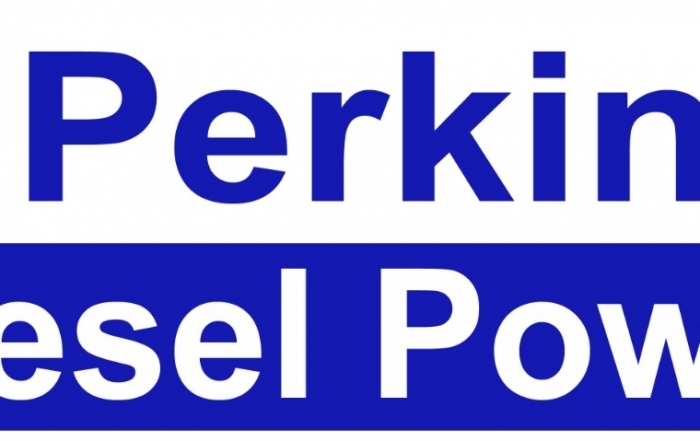 ITTS, supplier of Perkins Diesel Power, has been in the game for a decade and they are one the few trusted and supportive dealers for Generator Sets in the GCC and Middle East. 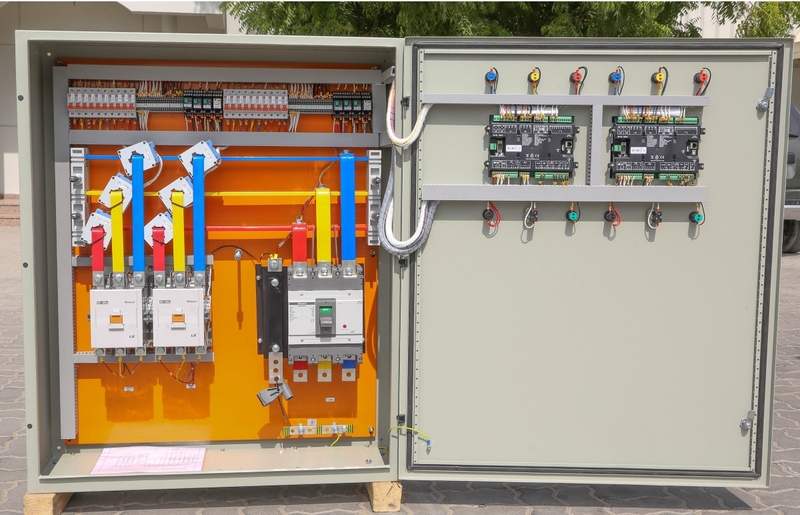 ITTS is offering complete solutions for Generator Installation, Piping, Switchgear connection, Ventillation etc.